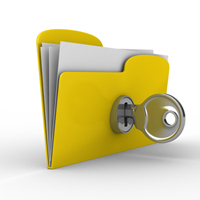 By law, everyone working for the NHS must respect your confidentiality and keep all information about you secure. To share information about you we need your permission. We can only share your information without your permission in special circumstances, f.i. by court order or if it is in Public interest, f.i. to notify cases of infectious diseases like measles. - Care.data - work will start in Autumn 2014. The NHS assumes that you don't object to being part of these programmes, so you are automatically opted in. If you don't agree, you can opt-out by completing an opt-out form which is available in the practice. The 2 programmes are completely different, so you can decide to opt in for one, f.i. the Summary Care Record, but opt out from the other. Whatever you decide, you can change your mind at any time and it won't affect the care you receive. Your Summary Care Record contains information about the medication you are taking, allergies you suffer from and any bad reactions to medicines that you have had. To help identify you it also contains your name, address, date of birth and NHS number. By allowing healthcare staff access to this information they can give you safer care during an emergency, when your GP practice is closed or when you are away from home in another part of England. Healthcare staff will always ask your permission to access your Summary Care Record unless that is impossible (f.i. because you are unconscious). For more information or to get an opt-out form visit www.nhscarerecords.nhs.uk or call 0300 123 3020. Care.data will be a giant database of medical records showing how people have been cared for by GPs and hospitals. Work to compile this database will start in Autumn 2014. It will involve taking records from GP practices and linking them with hospital records (at the moment information about what happens in hospitals is available, but not what goes on in GP surgeries). Experts say the information will enable them to assess diseases, examine new drugs on the market and identify infection outbreaks as well as monitor the performance of the NHS. The records will be stripped of identifiable data, but will contain the patient's age band, gender and area they live in. Concerns have been raised about keeping all the information in one place, with campaigners saying that it could lead to privacy problems and data breaches. If you have any concerns or fear that your data may be mis-used, you can download the opt out form below, complete it and return it to the practice (or get a form when you next visit the practice). You can call 0300 456 3531 or click on any of the links below for more information.